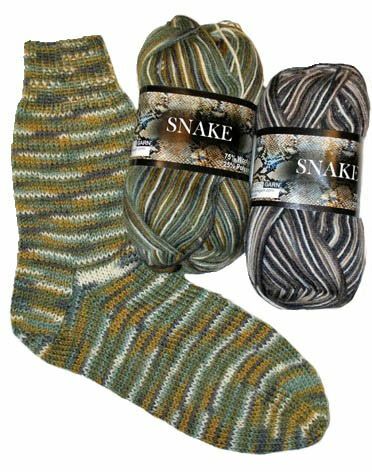 Exciting snake print sock yarn. A random, quick change dye repeat in classic 75/25 wool/nylon mix from Hjertegarn. Great for socks and baby knits.